The new king of air coolers has arrived. 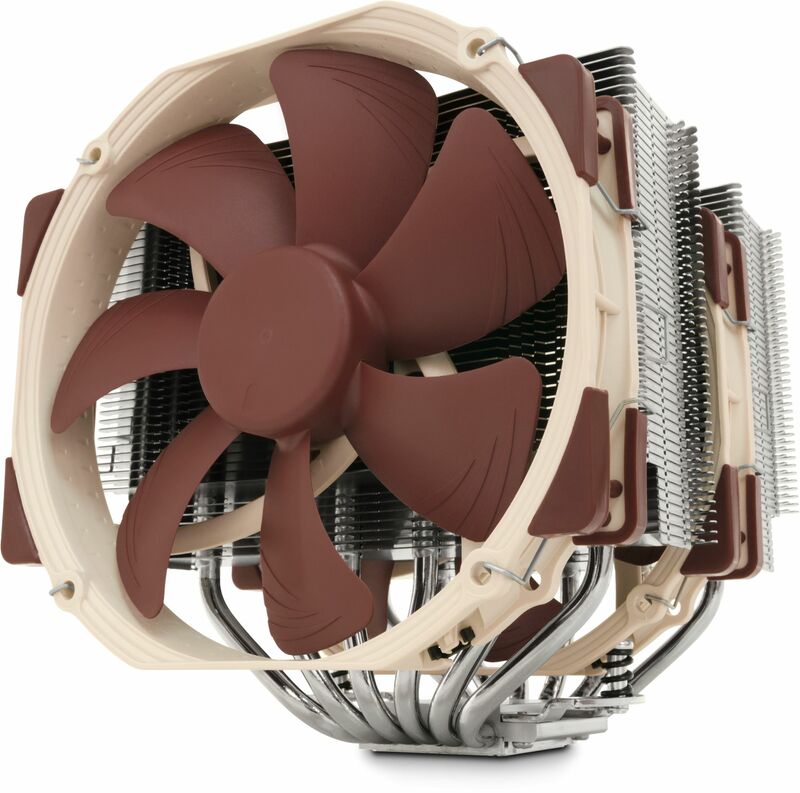 Noctua's new NH-D15 features two NF-A15 fans and a massive six year warranty, with this version being specifically for AMD's AM4 CPUs! Having received more than 200 awards and recommendations from international hardware websites and magazines, Noctua's flagship model NH-D15 has become a benchmark for elite-class dual tower coolers. The SE-AM4 version is a dedicated special edition for AMD's AM4 (Ryzen) platform featuring the latest SecuFirm2 mounting system for AM4. Topped off with two of the renowned quiet NF-A15 PWM 140mm fans, Noctua's proven NT-H1 thermal compound and a full 6-year manufacturer's warranty, the NH-D15 SE-AM4 forms a complete premium-quality solution that represents a deluxe choice for both overclockers and silent enthusiasts who strive to tune their AM4 systems to the max. Tens of thousands of enthusiast users all over the world swear by the NH-D15's quality and performance. Recommended by more than 200 international hardware websites and magazines, it is renowned for being one of the best high-end coolers on the market. The NH-D15 SE-AM4 brings the NH-D15's signature quiet cooling performance to AMD's new AM4 platform. With its supreme capacity at extreme heat loads, it allows overclockers to push their AM4 systems to the limit and silent enthusiasts to run the fans at super-low speeds. As compared to conventional single tower heatsinks, the NH-D15's fine-tuned six heatpipe dual tower design provides more surface area, better heat-distribution and superior airflow efficiency in dual fan mode. Thanks to its recessed lower fins, the NH-D15 provides 64mm clearance for tall memory heatsinks in single fan mode, making it compatible with most high end RAM modules on the market. In dual fan mode, the NH-D15 should be used with standard height RAM (up to 32mm). Please note: In chassis with more than 165mm CPU cooler clearance, the front fan can be moved upwards to make room for memory modules taller than 32mm. 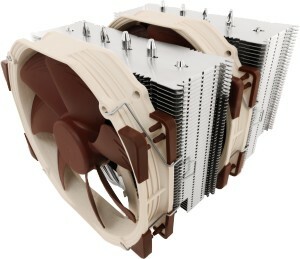 Please note: The possibility of installing the cooler turned by 90° depends on the free space around the CPU socket and can thus vary from motherboard to motherboard. Noctua products are renowned for their impeccable quality and outstanding longevity. 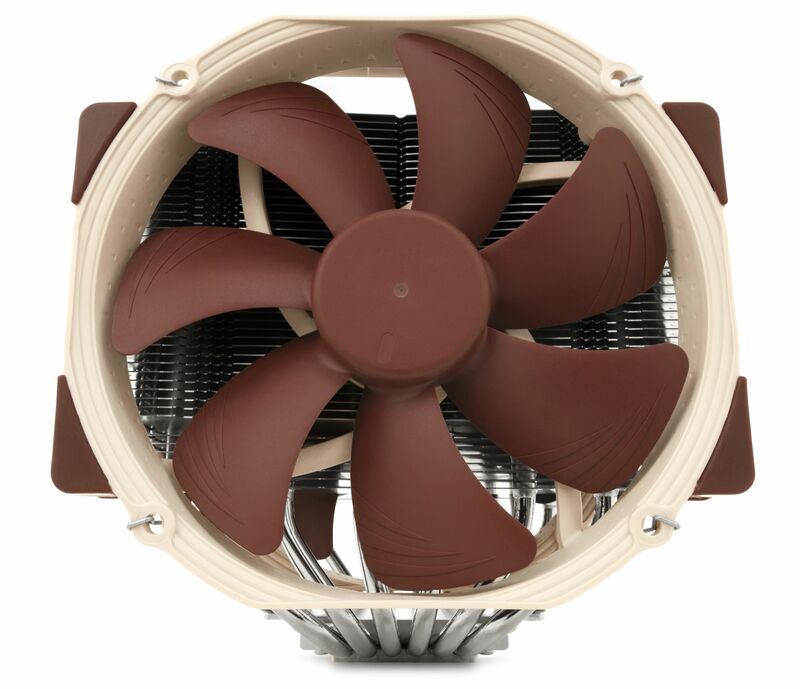 Like all Noctua fans, the supplied NF-A15's feature an MTBF rating of more than 150,000 hours and the entire NH-D15 package comes with a full 6-year manufacturer's warranty.